Landlord Insurance Policy - 10 Tips What Needs To Be Covered! 1. Flooding- Many insurance policies do not cover flooding, and an additional policy specifically for this situation must be purchased. A landlord insurance policy that does not cover flooding could leave you open to substantial losses. 2. Vandalism- The landlords responsibilities ensure that the rental property must be kept in good condition. Your policy should cover vandalism in the event that this occurs and must be cleaned up or repaired. 3. Tenant Theft- Most policies will only cover theft if there are obvious visible signs of force to gain entry present. Tenants who steal property like appliances or even metal pipes will not have to use force, so make sure your policy covers this. 4. Malicious Mischief- Every landlord insurance policy should include coverage for malicious mischief. Tenants can cause large amounts of damage, and so can others in the area. 5. Rental Losses- Once you know how to become a landlord you will understand the extent of possible rental losses. If your unit can not be rented out then coverage for rental losses can be extremely helpful. 6. Liability for Negligence- Whether you have commercial property for sale or residential property for rent you should include liability coverage for negligence. This will protect you if anything happens on the property. 7. 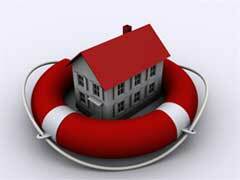 Tenant Default- A landlord insurance policy which covers a tenant default should be considered. If your tenant refuses to pay or move you could incur a number of expenses to regain your property, and lose rental income in the process. 8. Legal Costs- A landlord insurance quote should include coverage for any legal costs you incur as a result of your rental property. 9. Medical Expense Liability Coverage- Medical expense liability coverage should always be purchased with any landlord insurance policy. If someone gets hurt as the property owner you could be responsible. 10. Personal Property Protection- Real estate investing often means providing some personal property, such as appliances and possibly furnishings. You should make sure that any property you have in the rental unit is covered. How To Become A Landlord - Top 10 Secrets Revealed!